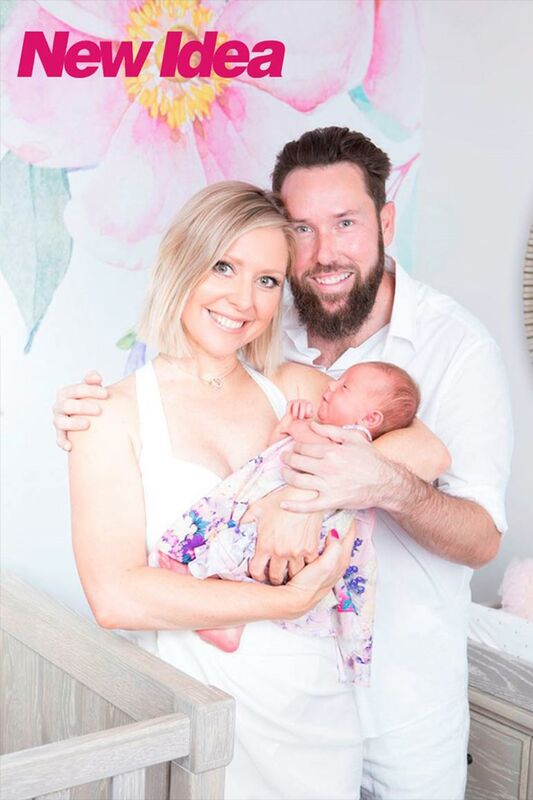 Proud new parents Charli Robinson and Liam Talbot have released the first pics of their baby girl. And we’re already in love. Say hello to little Kensington Claire Talbot. Isn’t she totally adorbs? 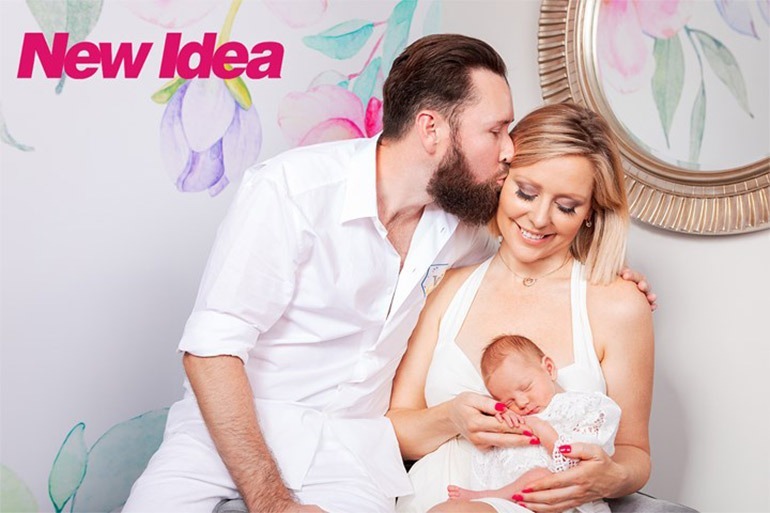 The loved-up couple have just shared images of their first child in a sweet photo shoot with New Idea magazine. It’s the first fans have seen of Little Kensy, who arrived on 27 December, 2018. four weeks earlier than her due date. Tiny Kensy weighs just 2.4kg, but the pair say she is doing great and is perfectly healthy. ”I must admit I was so worried that she might have suffered health-wise, coming early, but the doctors were like, ‘don’t worry, she’s perfectly cooked’ and that was a huge relief,” Charli tells New Idea. The TV presenter and her race-car driving partner were especially worried after Charli suffered a miscarriage during a previous pregnancy. “It was magical,” Liam, 36, adds. “It was amazing.” In fact, he found it so magical, he wants to do it again! But now they’re home, both mum and bub are doing well and Kensy is breastfeeding like a natural. ”Kensington is so perfect,” the 37-year-old new mum says. But while the feeding is going well, Charli admits the sleepless nights are hard! ”We will adjust,” she says. “I’m just going to live my life in pyjamas at the moment.” We’ve all been there, mama. ”Her name Kensington, or Kensy, came about as we wanted something that represented Liam’s late father, Ken.” Charli explains. Billionaire mining tycoon, Ken Talbot, was killed in 2010 in a plane crash. For now, Charli is just enjoying her maternity leave and making the most of her precious time with baby Kensy. But she says she will return to Channel Nine’s Getaway soon. We wish you all the best, Charli, Liam and baby Kensy and can’t wait to see you back in our living rooms soon. Love a good famous family? Check out Princess Mary’s royal twins who have just turned eight! Then follow Mum Central on Facebook for more celeb baby news. Originally from North East England, Claire now lives in South Australia with her husband, two beautiful boys and one crazy dog. She's a writer, teacher, craftaholic and lover of all things Disney.